You’re wrong about Cuba. That’s okay, because I was, too – that is, until I actually visited the island. While I was there, I discovered the following eight common assumptions about Cuba are totally bs; except #8, which was pretty accurate. Myth 1: Cuba is changing at a breakneck pace, so you’d better go there fast before the whole island gets renovated into one giant Starbucks. Reality: The first thing I learned about Cuba is that despite the tropical climate, everything moves at a speed best described as glacial. Nothing happens in a rush, least of all major economic and social change. So while I’d love to tell you to drop everything and go to Cuba right now, honestly you can probably chill; the “authentic” Cuba isn’t going anywhere. Myth 2: Cubans are isolated and know nothing of the glorious outside world. Reality: Cuba is one of the world’s biggest spenders on education as a percentage of GDP, and easily leads the entire Western Hemisphere in this regard. All this spending shows, and it’s not hard to strike up a conversation about world affairs with the average Cuban on the street. I actually had a handful of reasonably well-informed conversations about Australian politics with Cubans, which was weird because I’m used to being from a country that nobody knows is actually a country. Myth 3: Cubans are all either indoctrinated into a cult of Castro worship, or so terrified of the secret police that they’ll never speak openly or criticise their government. Reality: Wow, do Cubans love to complain and put down their own country. Sometimes, it’s reasonably justified, like when a water main burst one time near my hostel and the entire neighbourhood wasn’t exactly delighted. During the few conversations I strayed into politics, every Cuban I met had a list of (mostly constructive, sometimes frustrated) critiques of just about everything you can think of, from relations with the US to the supply of eggs. Myth 4: Maybe the Cubans can talk, but as a foreigner you’d better watch what you say. Big Brother is watching. Reality: No, he isn’t. Nobody cares about your opinions, least of all the government. As far as the Cuban state is concerned, you’re a cash cow bringing in sweet, sweet foreign currency that can then be used to import cool stuff like flour and medicine. So the police/army/whatever have better things to do with their time than regulate the discourse of drunk backpackers. Outside of immigration and customs, the only interaction I remember having with the organs of the state was a polite conversation with a cop who took the time to give us a friendly warning to watch our stuff on a beach where a few people had lost their phones. Myth 5: Cubans are treated like slaves by their brutal collectivist regime, working extremely long, hard hours for pennies. Sounds rough, right? Well, that particular Cuban was telling me about his experience working abroad in a Western country. Needless to say, he was relieved when he returned to Cuba, where virtually everyone is guaranteed a job and firings are extremely rare. Sure, the lowest salary in the public sector is around US$12 a month, which sounds hideous until you consider that Cubans have few living costs. Education, healthcare, public transport and basic rations and most other day-to-day expenses are either free or ridiculously cheap. This means that for the average Cuban worker, job security is guaranteed, and most basic necessities are provided by the state. 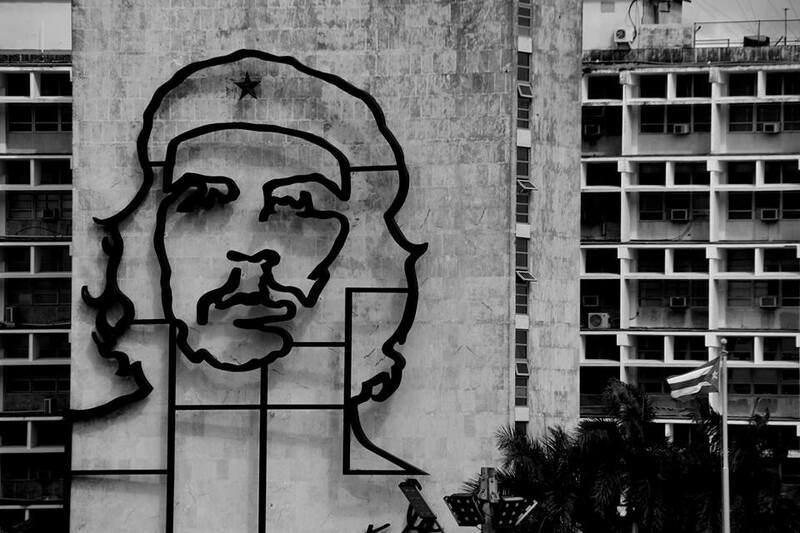 That’s not to say Cuba is a perfect, post-capitalist worker paradise. Ordinary Cubans live very frugally, and the intermittent shortages of consumer goods can really bite. Then there’s the fact that any vaguely luxurious product is extremely expensive from the Cuban point of view. A bottle of low-end Havana Club can easily cost the equivalent of around three weeks’ salary. Another interesting by-product of the Cuban system is a work ethic that’s about as mellow as the smoothest cigar. The most obvious symptom of this is that customer service basically doesn’t exist, which is somehow both refreshingly authentic and frustrating at the same time. Myth 6: Still, most Cubans are doing it tough, right? That’s a pretty big deal in Latin America – a region where nearly one in three people do not make enough to get by. Then there’s the tourism industry, AKA: the gravy train so lucrative it’s distorting the entire island’s economy. For example, the going rate for a taxi from the airport to central Havana is around $20-25. This means a cab driver can earn the equivalent of two months’ full time wages in 45 minutes. So no, Cubans aren’t in general doing it particularly tough, especially not the ones you as a tourist will be running into. Myth 7: Cubans have been raised from birth to hate America. They hate you because you’re free. Reality: Most Cubans I spoke to seemed to think the US of A is a wonderland of iPhones, steak dinners and plentiful wifi hotspots. Apparently, the minute you take your first step out of the Miami International Airport, you’ll be offered a corner office with a high rolling venture capital firm, get a free yacht plus a top hat – just like the one the Monopoly guy wears. The only Cubans who didn’t seem to buy into this narrative were the ones who had actually been to Florida, only to discover there’s nothing there but alligators and rehab clinics. Myth 8: Cuban food is pretty mediocre at best. Reality: Actually, this one is mostly true. If you can, get hold of some home cooking; eating out really isn’t that exciting most of the time. Such great writing! You really bring the country to life. Love this blog so much!